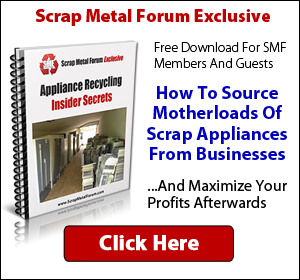 Red Rock Metal Recycling is buying all E-waste and nonferrous metals in Las Vegas!. We are not open to the general public, must be associated with a business. Prices are listed as delivered to Vegas. Picked up pricing can be given upon request. If anything is not listed that you want to sell please call, email or text Phillip to further discuss. We can buy it all! We are a FULL SERVICE E-waste and nonferrous processor. We can quote anything not listed per request. Nonferrous pricing changes daily. Please Contact Phil for a detailed NF Dealer Price List. All copper,aluminum,brass,lead and high temp alloys accepted. Laptops - Good Screen 5.00 ea. LCD Monitors 19''+ Widescreen 3.00 ea. LCD Monitors 17'' 2.00 ea. LCD Monitors 15" 1.00 ea. LCD Panels - Good Screen 1.00 ea. Please feel free to leave feedback on this post to help me better suit the next updated pricing post to this forum communities needs. Last edited by pharbison; 02-19-2019 at 11:59 AM. Soooo I'm a little biased since I'm now a Red Rock employee but prior to working here I was a customer. For full pallets of material that needed some degree of sorting (as in a gaylord with more than one grade of ewaste) the turnaround time for payment was less than three days and gaylords with just one item the turnaround time was same day. Fair pricing and quick turnaround time. Liked them enough that I work here now lol. Last edited by JJinLV; 10-23-2018 at 12:52 PM. Wish I lived closer, those monitor prices look great.